A new detail has surfaced out that General Motors India are finally planning to bring in their much esteemed and lauded Cadillac brand to India. 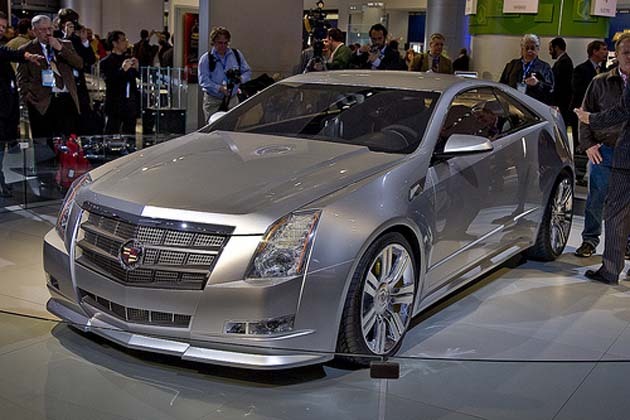 If our gray cells remind us correctly, General Motors had showcased the Cadillac brand in the Delhi Auto Expo in 2008. General Motors India’s MD and CEO, Karl Slym has mentioned recently that the Indian roads would soon see an influx of Cadillacs along with the many other luxury brands roaming in India. In India as of now, GM’s biggest car is the soft roader, the Chevrolet Captiva. With the influx of the Cadillac brand, GM India would get a strong position in the luxury segment. GM would also be able to position itself as a luxury brand in here. It is most likely that GM India would enter the Indian luxury car market with the Cadillac CTS sedan as this boxy sedan with very large rectangular head lamps for that broad wide grille which is all chrome laced as also housing the somewhat controversial Cadillac badge, is perfect for the Indian market. The large wheel arches plus those 19 inch wheels lend a bold statement to this car. However its rear tail lamp design is similar to that of the Tata Manza and this means that the car wouldn’t be as distinct as one would like it to be. However this car has a better put interiors than the rest of its class and that includes the likes of BMWs, Mercedes and Audis. The Cadillac CTS would get a massive 3.6 liter petrol engine which produces 304 Bhp and is guaranteed to give scintillating performance. The car would also come with all modern creature comforts.